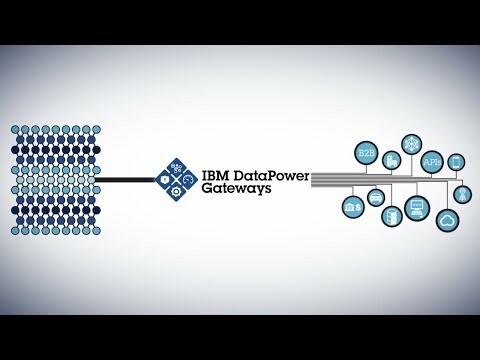 IBM DataPower Gateway is the world’s most secure DMZ-ready gateway. It provides security, integration, control and optimized access to a full range of web, API, mobile, SOA, cloud, mobile, and B2B workloads. It enables organizations to extend valuable IT assets to new channels and use cases, reaching customers, partners, employees. It delivers a wide range of application security, integration, routing, business-to-business integration and governance capabilities through an easy-to-deploy, DMZ-ready gateway appliance, helping to simplify IT infrastructure while reducing costs. Furthermore, the IBM DataPower Gateway appliance enables organizations to extend their core enterprise applications to customers, partners and suppliers in a controlled and secure manner. It centralizes and consolidates B2B trading partner connectivity and transaction management, and enables faster and more reliable customer and supplier onboarding. As a result, organizations reduce costs, increase collaboration, reduce time-to-revenue, and gain faster access to new customers, partners and markets. As an IBM Gold Business Partner with extensive integration, our team can assist your organization in procuring, planning, implementing, and optimizing the DataPower solution. Please contact us today to discuss your integration needs and initiatives.